HomeEXPAT LIFESo You Wanna Start a Hagwon? 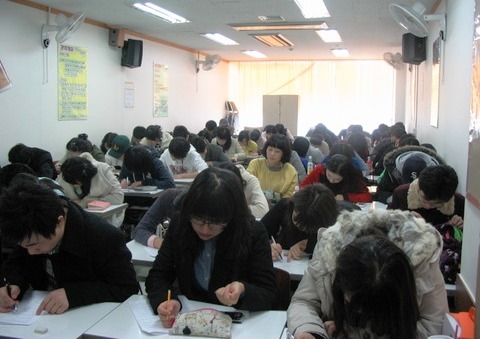 A little over a year ago, I started thinking about opening my own English academy in Seoul. As the spouse of a Korean citizen, it was relatively easy for me to get an F visa (F-2-1 visas are issued to spouses), and after a couple of years of marriage, it is possible to upg rade that to the F-5 visa (permanent legal resident). Among other things, this visa allows me to permanently live in Korea (even if I get divorced,) vote in elections (haven’t yet) and own a business. 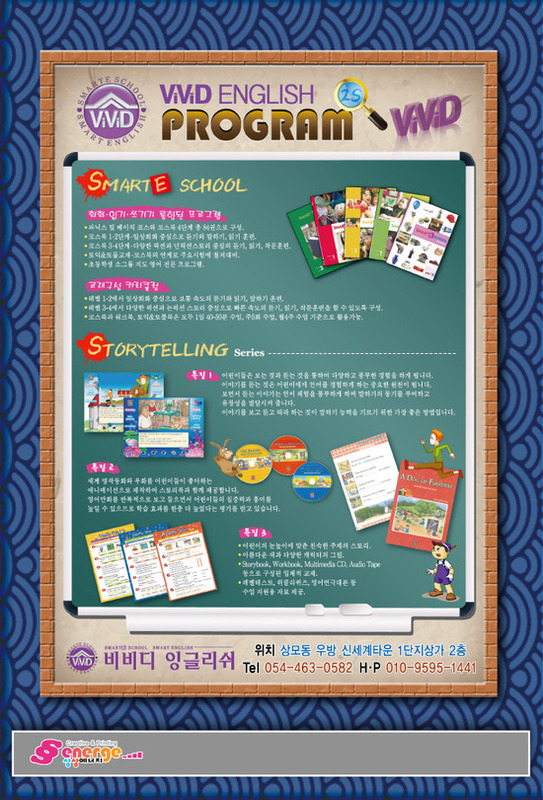 There are a couple of different ways you can go about opening your own academy in Korea. I am only familiar with the route I took, but even that route was partially shrouded in a mysterious fog, so typical of this peninsula many of us call home. “Byzantine” was the word my colleague used at my first job working for a Korean school. We were both sitting in the tiny office we shared, located on the 3rd floor of the relatively new (but ancient feeling) building in what used to be the foreign quarter of a large city in China. This man had worked for the school for about a year, essentially creating their English department from the ground up, while managing a Korean teacher who spoke fluent English, and a New Zealander who was married to a local and had been teaching illegally for a few years. It was my first experience with a culture that would at times amaze me and at other times baffle me. Two years later, right before I left that school, another colleague left me with a rather bleak view about education in Korea: “If I think about all the things I hate about the system, it makes me not want to be a teacher.” Many people — maybe you and I included — have to become quite tolerant of elephants in the rooms we inhabit. After leaving China, I moved to Seoul in 2004. I worked in a small academy in east Seoul for a few months. One doesn’t talk about “dirty secrets,” at least not openly, but if you have worked in a language institute in Korea, you might have suspected that not everything was 100% above-board. I won’t disabuse you of your suspicions — more about that later. So at the beginning of 2009, with a baby arriving soon, I began the mini-quest that is involved with opening your own English language institute (in Seoul, anyway). The players involved are your local “Gu” (district) office, the Korean tax service office, the Seoul Metropolitan Office of Education and your local branch of the Seoul police. It is not easy to find the proper sequence of steps necessary for getting all the jots and tittles in the proper places on the myriad forms one gathers during this process. The fact that many of the steps are independent of one another and many of them are dependent on preceding steps adds a level of headache that only a practiced project manager, schooled in the critical path method (CPM) , armed with some kind of CPM software, could really map out. I do have that kind of training, but at that time, I didn’t have the inclination (nor did I anticipate ever writing anything like this) to document the process thoroughly. What you are reading will be a travelogue of sorts, a fond reminiscence of a meandering journey, sometimes harrowing, sometimes mildly amusing, mainly annoying, but ultimately gratifying. And that was just getting the license! I really should begin at the beginning. Late in 2007, I began to have a severe case of “senioritis” while working at my job. 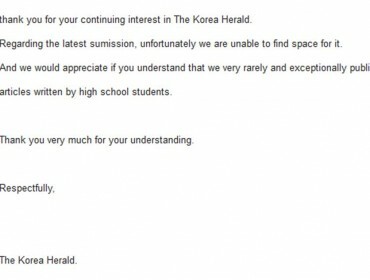 I had been working for a prestigious foreign language high school in Seoul for three years, hired by one principal (a man I knew and respected) but never getting to work for him—turns out he jumped ship a month after pulling the trigger on hiring me. Working there had its plusses. I loved the students I taught at this school. They were a great pleasure to teach. It was a relatively stable job and even though the starting wage (I say wage and not salary, because we were paid only for the hours we spent in class) was the same wage they had been paying since 1997, it wasn’t the worst in Korea. It was pretty close to where I lived, so commuting wasn’t a chore, and I liked most of my colleagues. But no matter how much all that weighed in favor of continuing to work there, the overall level of dissatisfaction I felt with the principal overwhelmed it. To be fair, I realize that we had become stuck in a kind of negative feedback loop. He started out by doing the normal things principals here do (i.e. distrust native speakers as teachers). He has very good reason for this: many people who come here to teach are not qualified, oftentimes lack any kind of experience at all (recent college grads), and are also often merely adventurers wanting to experience Asia on someone else’s dime. This is a laundry list of stereotypes that all of the native speaking English teachers who work in Korea (and elsewhere in Asia) decry as being unfair. I suppose that stereotypes are always unfair, but they come to be accepted for some reason. In this case, they come to be accepted because it has happened just that way many times in the past. Even this school, prestige notwithstanding, had had its share of foreign troublemakers. 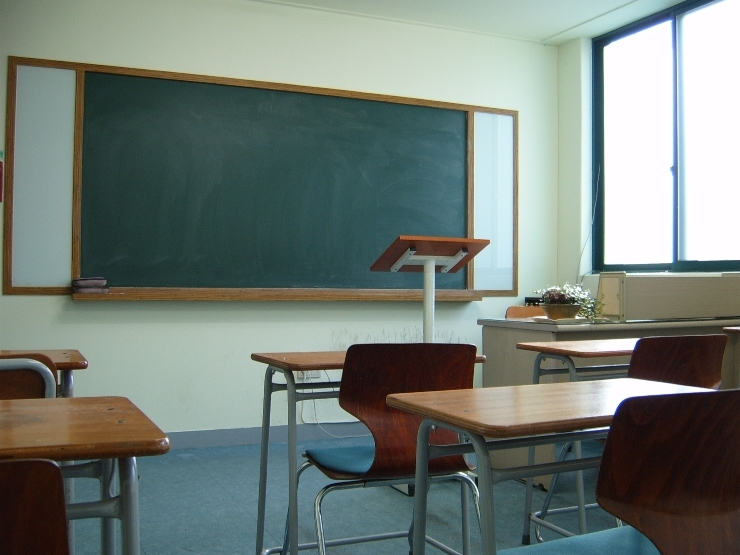 Should the good teachers be punished because of the bad apples? Of course not, but even principals are just human. So even though I understand why we were micromanaged (little notes would appear on our desks, with new things we were to do or not to do), and consistently (albeit intermittently) surveilled during classes, it created stress. The stress I felt was manifesting itself in physical symptoms, headaches and back pain that was inexplicable—inexplicable that is until they mysteriously disappeared a few weeks after I had quit. After deciding to open my own place, I needed to find a location. I asked a friend of mine if he had any real estate broker friends. I was hoping to get some kind of good-ol’-boy deal, if something like that existed in Korea. I guess it would be “good-ol’-ajjoshi.” Location, location, location. Is that the way you write it? Maybe it should be a series of exclamations. You pay a premium to be in the high profile areas. 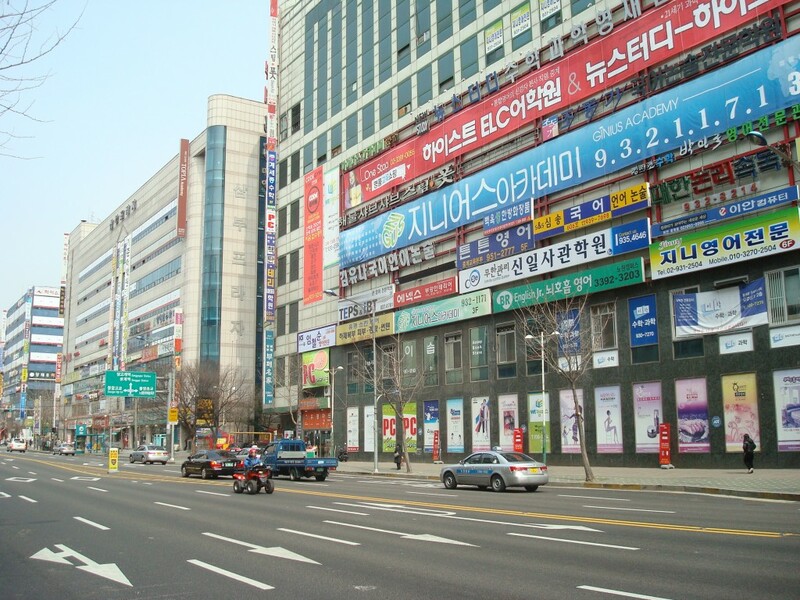 The southern part of Seoul is extremely expensive, and home to many big-brand name language schools. That’s the big time. The second tier of language schools (almost as prestigious as the ones down south) are way up north. That’s where our place was to be located. My friend contacted me a couple of days later and told me he had found an academy space available for lease right away. My wife and I traveled to northern Seoul to take a look at it. For us, as neophytes, this place seemed to be too good to be true. The space was fully furnished as an English language academy and the price was affordable. It’s true that it was off the main drag, but it was close to tons of apartment villages and several schools. We couldn’t believe our good luck. A note about furnished spaces: If you want to rent a space that has previously been used for the same business, and may have existing clients (students) and furnishings, you will pay an “authority fee.” This fee will vary, according to the number of students (if any, of course) and the nature and cost of the furnishings, the interior design, etc. It could range from $3000 up to $20,000 (or possibly more, but that would have to be for a really really big operation.) Now there is some wiggle room on this kind of authority fee, but basically it’s in bad taste to try to negotiate it down too much. If you feel you are being overcharged, of course you should haggle. 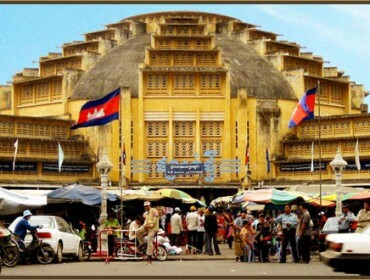 It is in the leasor’s best in terest to try to get the same kind of business in there, because if they can’t, they’ll have to pay to revert to the interior design of the previous state before they moved in. That kind of deconstruction remodeling can be expensive, depending on the size of the establishment, so that is the amount of room you have for your haggling. It’s up to you to decide if they are asking too much for the fixtures. For us, it seemed reasonable. We didn’t get any existing students. Korean leases usually involve a large deposit ($20,000 to $100,000 is common) and then a monthly rental fee. Our place was near the bottom of that range. The monthly rental fee for our place is about $500. All together, it cost us about $75,000 to get started. After finding a location, it was then possible to get my own license, the business license, my tax identification number and have the academy rezoned. This last part was a major hassle. Since private language academies are invariably in commercial spaces, it is necessary to rezone them every time they reopen. 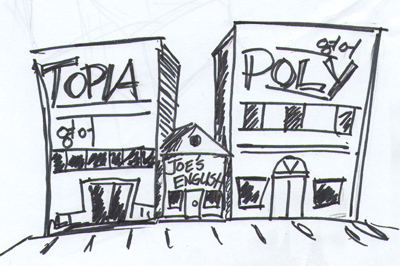 Even though the previous tenant at my new location had been an English language institute, the very moment they closed their doors, the place reverted back to commercial zoning. That meant I needed to get an official to recertify that the location was qualified to be a language academy. If that strikes you as absurd, join the club. The tax number was extremely easy to get and straight-forward. Once I had established my academy with the office of education, the tax office folk were perfectly willing to set me up. Naturally, the tax folk have their acts together. I mentioned getting my academy established with the office of education. That part is quite tricky. It required me to travel back and forth between the local–Gu office and the office of education multiple times, since they couldn’t be bothered to reveal more than one step at a time to me (even on things that could be done independently). It is on this particular point that I wish I had made copious notes about the proceedings. I understand now why some law offices make big money by shepherding would-be education entrepreneurs through this process. I was lucky enough to have a genius sister-in-law who not only did all the initial research on the process, but basically tour-guided me through it, all the “extra” trips notwithstanding. I will say this about the education office people: if you are nice to them, they will be nice to you. A noteworthy part of this process involves reporting your pricing structure to the office of education. There are laws in place to protect consumers from price gouging by language academies. These laws are typically thrown out the window by most large academy chains, or they simply do not apply. It appears to be common practice to stay within the letter of the law, but somehow creatively make it possible to charge enough to be able to operate your business in addition to making a living for yourself. I will leave it to your imagination how that is done. Also noteworthy are the various levels of academy that are licensed. The giant chains are language academies, the top tier. These are the academies that are able to sponsor people for E visas in Korea. Below them are the smaller operations. Legally, I am not able to hire any other teacher in my academy. My space is only big enough for a one teacher show. Further, I can only have eight students per class period. These requirements are in place to protect the large academy chains from competition brought by smaller independent organizations. The process of setting up the academy is rigorous, but certainly nothing that will dampen the spirits of even a person of normal-levels of optim ism. It wasn’t until I had opened and started to face the grim reality of how to attract students that my real test had begun. As I mentioned,the location I moved into for my academy had also previously been an English institute. I believe it had been closed for one or two months, though. I had very little hope that I would be getting any students from the other place. Further, there were two other academies in the same building as me. Since I was relatively new to the whole business side of things, I was a little unsure exactly what kinds of advertising strategies would work the best. I had seen bills posted on light poles; I had heard about (and seen) advertising fliers posted on apartment doors; I knew that some (bigger) hagwons advertised on buses. I needed to figure out, and fast, what some of the most cost effective methods were. I had always heard that word-of-mouth was the holy grail of advertising, since it was free. Part of my lease in the building included two lighted signboards, a huge area of windows on one corner of the building which were covered with silk-s creened stickers making up a big banner. Inside there were places for more signs—on the walls, on the risers of the stairs, and one hanging from the ceiling near the door way. I arranged to have all these signs replaced with my versions. The total cost of all the signs was about $1600 (including installation). The guy who did the signs also printed advertising fliers. He could do a batch of 4000 fliers for about $70. That seemed like a good deal, so I ordered 8000, based on a design I worked up. With these fliers, I began canvassing the neighborhoods with my sister-in-law. We would hand them out to moms waiting outside the gates of the nearby schools. There were usually two or three people from other hagwons hanging around as well. Fortunately, the fact that I don’t look Korean worked in my favor. The moms who passed by the other advertisers were interested enough to take one of my fliers. Unfortunately, it’s not quite kosher in Korea to ask people who come to your academy “how did you hear about us?” So if I didn’t happen to recognize a mom from meeting her in this way, it wasn’t possible to know how effective the fliers were. Of course, some of them would mention that they had seen me, come across my flier, heard from someone, etc. Concurrently with handing out fliers personally, I hired ladies to tape them up in the apartment buildings near our school. We would meet down in the local real-estate agency where there is a big neighborhood map and plot out the buildings we wanted to target. This method of advertising is illegal, of course, and the women always run the risk of getting run out by the apartment guards. Their methods include shadowing security doorways, waiting for people to come home and ducking in behind them. Because of the negative feelings about this kind of advertising, I never do it anymore. I do know that one or two students’ moms got my number from this kind of flier, but ultimately I think it’s not worth it. After all, I always tear those fliers off my door and throw them away without looking, so why assume that anybody does differently. Even though it is cheap—about $40 per 1000 fliers taped up—it’s sketchy in the long run. The octopus flyer, with the little phone number tags at the bottom cut to be easy to rip off, is another common sight in my neighborhood. I have used these before—posting them in the neighborhoods on light poles and at bus stops. An interesting phenomenon with these is that people will tear off the tabs but never call. Now you are probably thinking “sure…they tore them off to be a vandal.” I thought that too, but invariably we’re talking one or two tabs torn off (not all of them). If someone were vandalizing my fliers, surely they would tear the whole thing down? Or tear off all the tabs? I didn’t get it, but I did receive a grand total of two calls using these fliers. Two calls out of about 500 tabs; that’s not really that bad I suppose. The best luck I’ve had with those is “officially” posting them in the entrances of apartment buildings. You pay about $30 to be able to put your flyers in every building and they will stay there for one week. Despite my various types of advertising, I didn’t get many students in the first few months. For the first six months, I usually averaged about four students (total) and I believe I peaked at about nine. The dreams I had of word-of-mouth advertising were dashed when I realized that it is not in the moms’ best interest to tell their friends about a good school. This is a very dangerous game. I knew I was getting really good results with the students, and the moms knew it too. They were extremely satisfied. So satisfied that they didn’t want to blow the great deal they were getting for private lessons. As most of you know, the going rate for an hour of English lessons with a typical native English speaking tutor runs from $35-$70 per hour (or more). These students were getting nearly the same kind of deal, but paying only a small fraction of that. Smart moms will ride that edge…between free private lessons and bankrupting an institution. I gave up any idea of getting word-of-mouth advertising. Eventually, persistence will pay off. I have been in business now one year. I still don’t have a flood of students, but I do have enough that I can comfortably keep going. I’m in a pretty tight situation in that I can’t legally hire an additional teacher—and without one it’s very difficult for me to grow any further. My school doesn’t have a bus, because for that to be legal you have to have a driver and someone to ride along with the kids, keeping order. I’m just not big enough to be able to afford that kind of extra staff. Six months did seem to be a kind of watershed moment. I imagined each mom in the neighborhood saying to herself, “Well it’s been there that long, it must be worth a damn.” And they started showing up. One thing I have enjoyed is I haven’t had a lot of turnover. I have students who have continued to study with me since day one of business, and I’m very proud of their progress. I’ve had some students come and go and come back again. I look at those kinds of things and say, “I must be doing a good job.” Now all I really need to do is put all the pieces together in just the right way and I’ll be livin’ the dream. *Note: I have limited myself to elementary students. I have a very solid curriculum I use from the States which has been proven in research to be one of the very best programs for teaching reading and language to young students. I have students ranging from first through sixth grades, pretty evenly distributed in English ability. I have two classes of beginner students where I focus on phonics and beginning reading and speaking in simple sentences; two classes of intermediate students (typically middle grade students who have studied English for 2 or more years); and two classes of relatively advanced students. 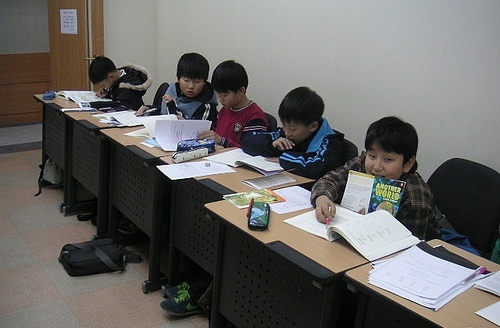 These are upper elementary kids who have studied in academies before and with private tutors. The very best sixth grade students study a kind of TOEIC prep course which is excellent for vocabulary development as well as being quite interesting to read. 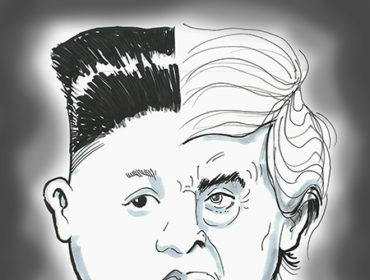 Resident cartoonist and 3WM webmaster Lee Scott occasionally contributes to 3WM. 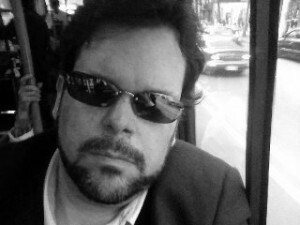 He is or has been an avid: gamer/reader/writer/designer/cartoonist/developer/hatchet-man/teacher/entrepreneur.